Have you checked your phone, cable and internet invoices lately? Today, according to recent studies over 75% of invoices for voice, data, or internet are incorrectly charged to customers. The most common being surcharges, questionable tariff filings, pricing negotiated agreement charges, renewal with a service provider, these are some of the most difficult expenditures to manage. Many audit specialists will not only capture a clear view of your company’s potential spending issues, they can identify carrier billing errors and assist your management team to recover over-payments as a result. The approach should be to work to establish best practices within your organization for managing your current and future expenses in the future. Expending time, energy, and money to ensure accuracy in your supplier relationships can be a challenge. You can understand the value to you and your organizations in savings falling directly to the bottom line. 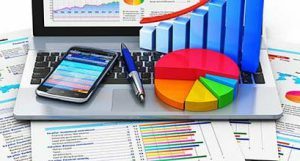 We can help by using our audit experts having the right tools to implement regular monitoring of your organization’s billing and performance for these types of charges and can implement the necessary controls to enhance visibility to see and document billing errors. The knowledge of what errors to look for is the key. 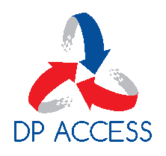 At DP Access, we are specialists in voice, data, and cable industry knowledge. We view many invoices daily for errors. If you should need assistance please feel free to contact us. We would be pleased to review your organization invoices for these types of potential billing errors.